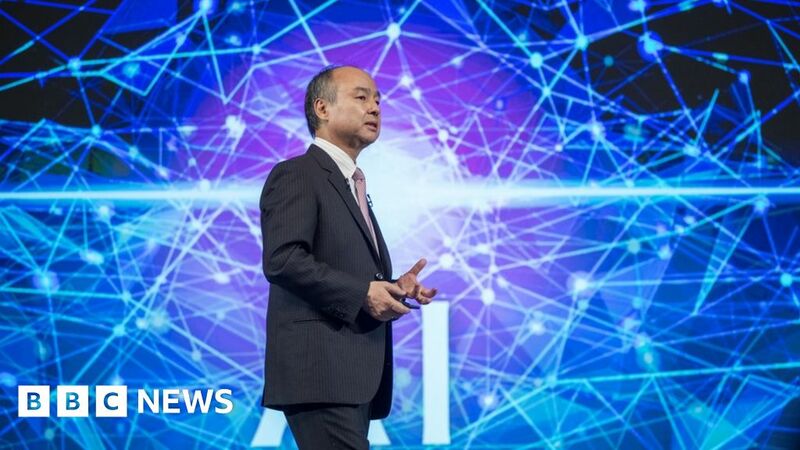 Shares in Japanese tech conglomerate Softbank surged nearly 17% after its chief executive Masayoshi Son unveiled a $5.5bn (£4.3bn) share buyback. Mr Son said the buyback will prop up the company’s share price, which he sees as chronically undervalued. Softbank has stakes in dozens of technology companies through its Vision Fund. Mr Son said when these investments are counted properly, Softbank is worth far more than its current market value. He announced the share buyback during an earnings briefing on Wednesday. Mr Son described the company’s shares as “too cheap”. Softbank will pay for the buyback with the proceeds of the share market float of its domestic telecommunications business. On Wednesday, the company also reported a 60% jump in third-quarter operating profit, lifted by rising valuations of its technology investments. Through the Vision Fund, Softbank has stakes in a number of ride-hailing companies like Uber, Grab and Didi Chuxing. It also hold stakes in Slack, WeWork and chip designer ARM. However, the company sold its stake in US chipmaker Nvidia after weak demand for its gaming chips pushed its share value down by 50%. Softbank shares hit a high in September but tumbled on concerns about its financial ties to Saudi Arabia following the murder of Saudi journalist Jamal Khashoggi. Saudi Arabia is the major investor in Softbank’s Vision Fund, which is worth around $100bn.